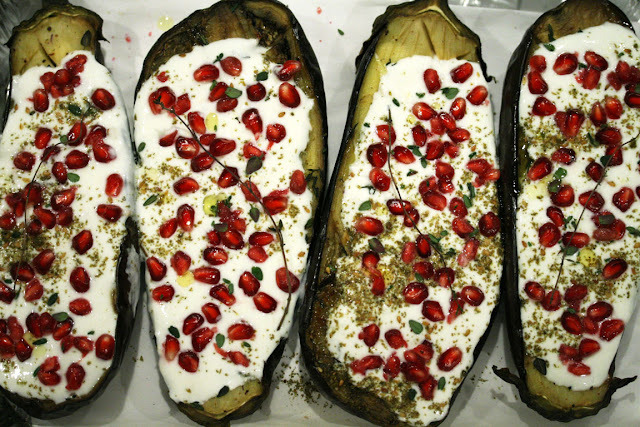 Recipe from the book "Plenty: Vibrant Recipes from London's Ottolenghi". Since this is my first time making it, I would modify the recipe a bit by skipping the Greek yogurt and put less Buttermilk Sauce in the Eggplants. Other than that, this is a very visually inviting dish.